Led by Robin and Jane SeQueira. 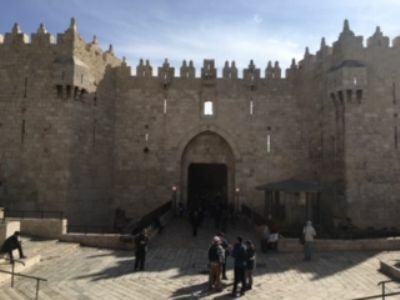 'The Galilee Tribe' invite you to CJ’s on 16th March, 7.30 pm to see photos and hear stories of our Holy Land trip. £5 (inc. buffet). 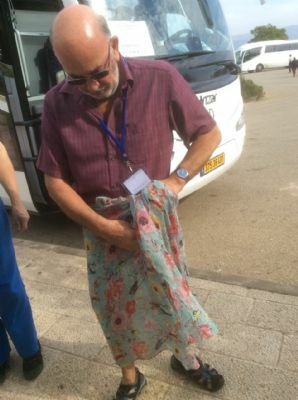 Wednesday, 5th December I am writing this blog from a very manic Ben Gurion airport lounge in Tel Aviv awaiting our flight home as alas our pilgrimage is at an end. Earlier today on the way here we visited the Israeli museum in Jerusalem following which we had the privilege, if rather daunting and emotional, of a visit to Yad Vashem, the Holocaust museum. That man’s inhumanity to man can be so depraved and brutal does prompt one to despair but we can only live in hope that that kind of history is never ever repeated. It is too gruesome and cruel for words. This has been an amazing journey of discovery, renewal and inspiration. 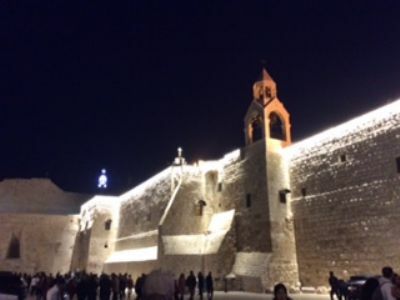 To have walked near or in the footsteps of Jesus and to have seen many of the buildings and artefacts that existed when he did, was truly exhilarating. Jane and I have been so lucky having led the group of pilgrims that we did. Whilst we also prayed and paid homage to God, we also had fun. Wit and humour abounded. Our guide Sonia, an Arab Christian, and driver Abu Morad were our perfect hosts, our driver delivering us safely to our destinations through anarchic traffic! Today was different. 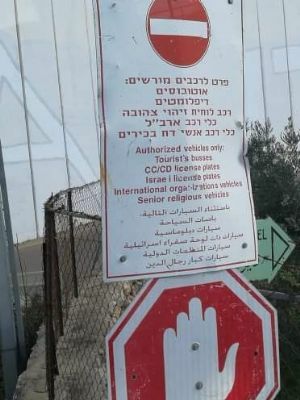 We spent it in the south of Palestine, in the wilderness. 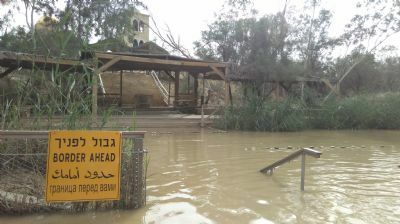 John the Baptist was here, just south of Jericho. 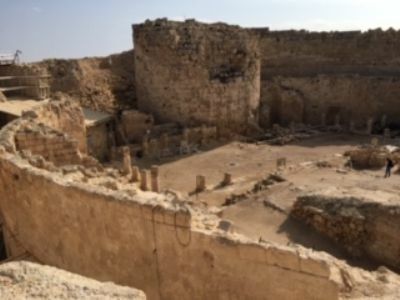 The Jews escaped here from the revolting Romans, but were beaten at Masada where Herod the Great built his state of the art fortress in a precipitous position. 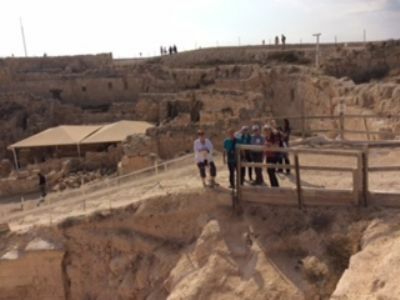 At En Gedi we saw where David escaped from Saul and spared his life too (1 Samuel 24). 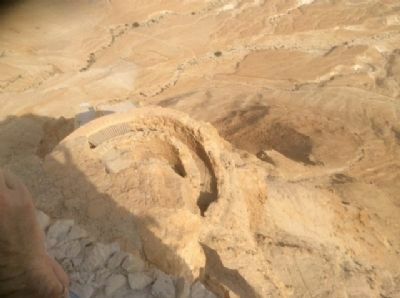 At Qumran we saw the spot where the Dead Sea Scrolls were found, the importance of which was to show that the text of the scripture is proven and not just passed down orally. 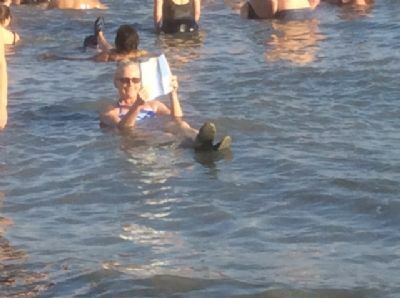 Jane S conclusively proving the salt content in the Dead Sea! 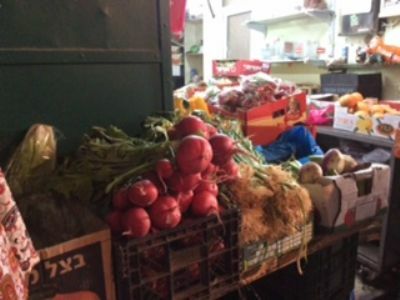 Today has been a little different as we have had free time to really soak in the atmosphere of Jerusalem, spend some money in the little, narrow, bustling streets that make up the old quarter with thousands of market stalls, and also to visit parts that we didn’t fit in on previous days. 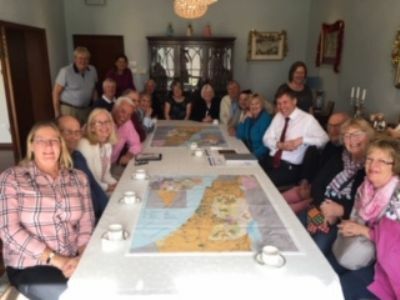 We had the privilege at the start of the day to pay a very special visit to the Consulate General to the Palestinians (in effect a UK ambassador). He spoke very honestly and insightfully about the complex political situation in this land. I think we all felt impressed by his extraordinary grasp of the realities on the ground and his genuine personal compassion for all the peoples. 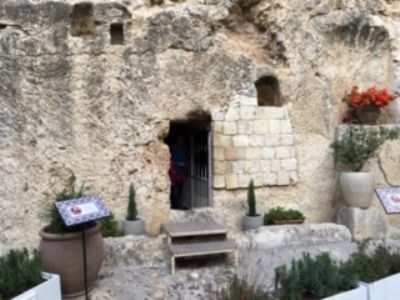 The beautiful Garden Tomb - empty of course! Our start today at Christchurch (Jerusalem) communion service was intriguing and inspiring. A packed congregation partook of a service which was primarily in English but had major tracts in Hebrew too. 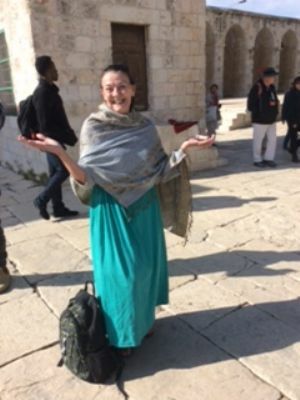 The sermon was delivered by the visiting pastoral head of CMJ ( Christian Mission to the Jews) a Christian UK based charity which delivers aid and mission in Israel. A great start to our day! 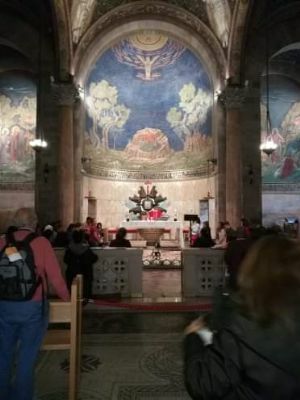 Following the service we began our journey on the Via Dolorosa, stopping for prayer at a number of the 14 stations, stopping too at the Western Wailing wall and ending at the pool of Bethesda and the church venerating the birthplace of Jesus’s mother Mary. 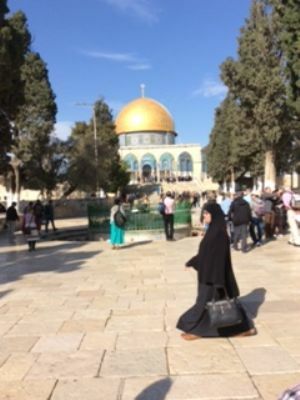 We often stop at convenient locations for prayer, meditation and singing which helps us to experience the senses of pilgrimage and privilege. 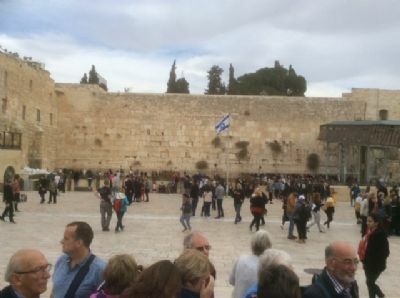 The western Wailing wall, Jerusalem. 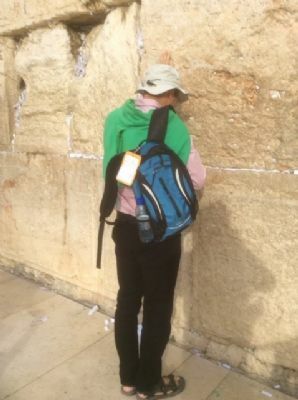 Dave P praying at the Wailing wall. 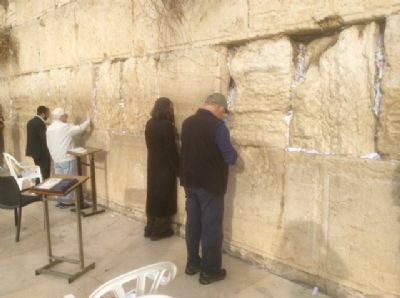 praying at the Wailing wall. 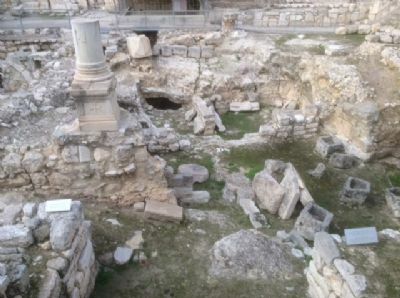 The pool of Bethesda where Jesus healed the disabled man. 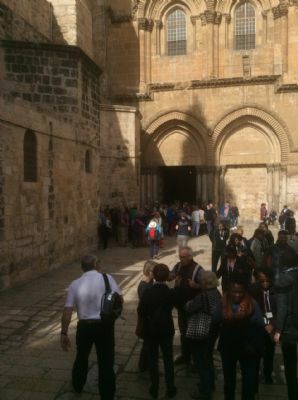 Outside courtyard to the Church of the Holy Sepulchre, Jerusalem. Hi to everyone back in Dorset. 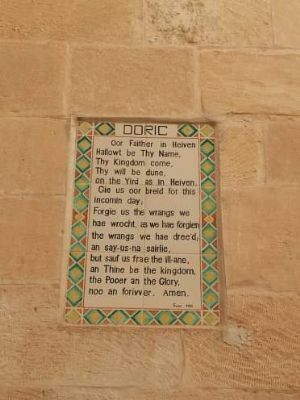 We started the day with a visit to the Mount of Olives where we found a copy of the Geordie Lords Prayer (Photo 2). 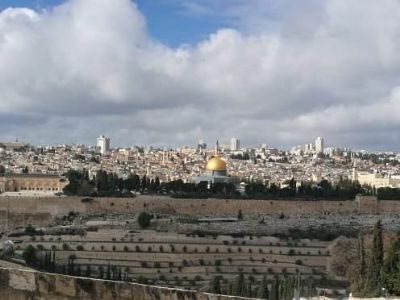 we came upon some amazing views of Jerusalem (Photo 3). 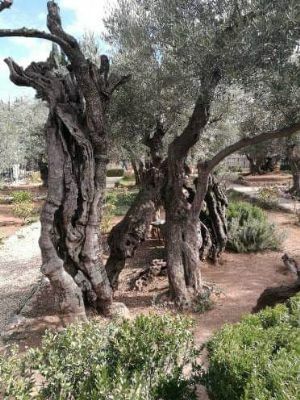 on our way to the Gardens of Gethsemane which was full of old, yet beautiful, olive trees (Photo 5). 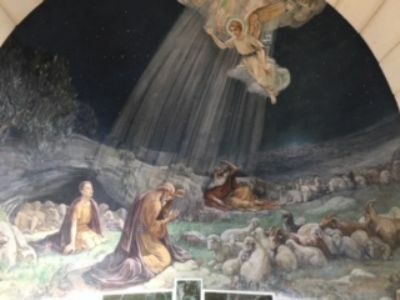 The church there, the Basilica of the Agony, was home to some stunning frescos (Photo 6). 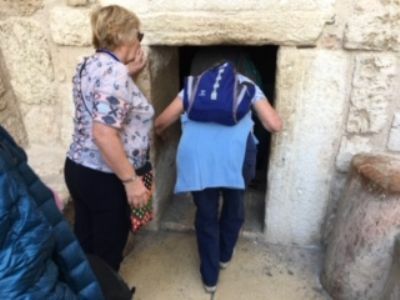 A trip to the Garden Tomb followed where we saw the area it is believed that Jesus was crucified and then the Tomb where Joseph of Arimathea is thought to have taken Jesus's body (Photo 7). Our guide here, Graham, once lived in Blandford Forum, such a small world we live in. 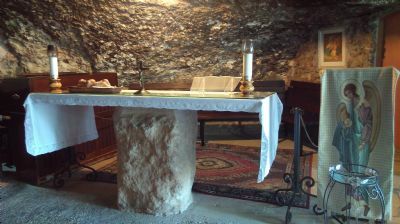 We held communion here, which was, once again, an amazing experience, in a simply breathtaking setting. 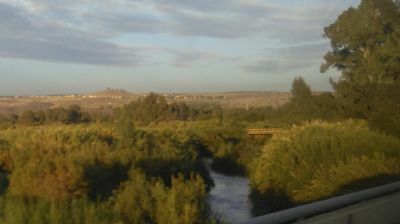 kibbutz before heading on to Mount Zion where we visited the site of the Last Supper (Photo 8) and David's Tomb. A few of the male members of our party had to wear skull caps but unfortunately photography was not allowed! 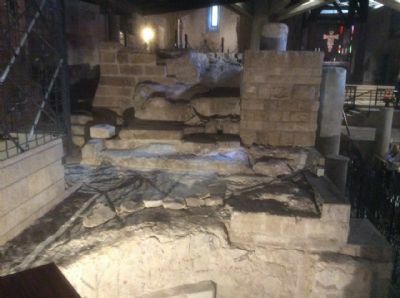 We ended the day with a visit to St Peters Church, built on the site of Caiaphas' Palace where Jesus was imprisoned, and where Peter thrice denied him. 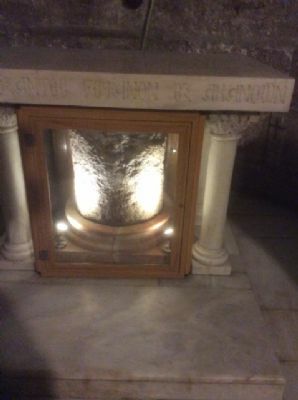 Jean read Psalm 88 (Photo 9) in the dungeon Jesus was lowered into. I urge you to remind yourself of the words of this Psalm. We’ve had another long but fascinating day! 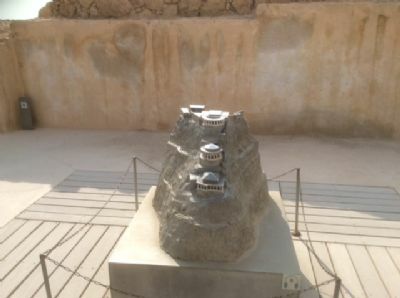 First off we traveled to Herodion (a castle / palace / tomb) for a real arch-baddie! Think Corfe Castle but 2000 years old built by the Herod who killed all the children once he’d heard a king was born. The Christian faith really does call us to engage with politics - how people behave towards others. 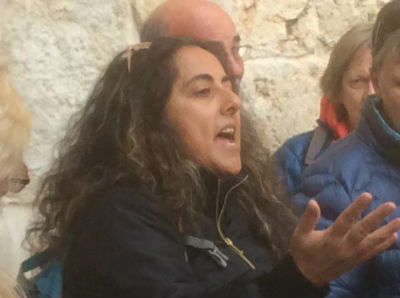 Very sharply brought in focus by 2 other meetings we had - one a Palestinian Christian teacher in a West Bank Bible school for whom life is incredibly difficult. 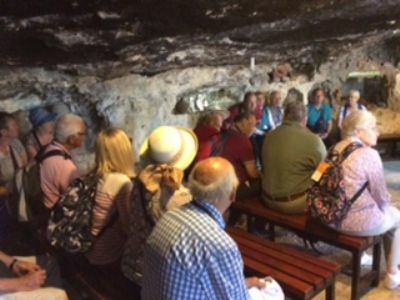 The other was a chance meeting at the Bethlehem “Shepherd’s Field” cave. 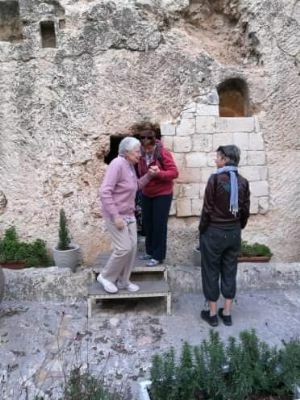 A small group started singing in Aramaic (Jesus’ own language). They turned out to be Iraqi Christians who’d escaped Baghdad. Made our visit to Jesus’ birthplace especially poignant. Another day (30th Nov) of tunnels and many, many stone steps. 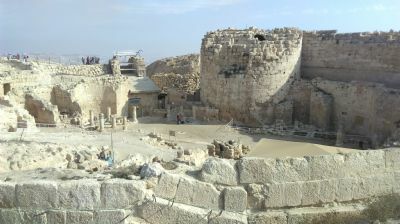 This morning we visited the ruins of Herod the Great's fortress-palace at Herodian, which later housed his tomb. Our trip round this archaeological site involved descending into the tunnels to the rainwater cisterns. 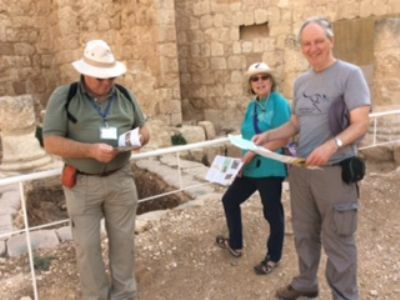 After Herodian we travelled to the Shepherds' Fields, the site where it is said that the Angel of the Lord visited the Shepherds with news of Jesus' birth. 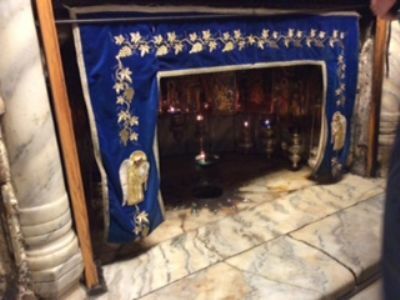 The shepherds' cave is now a shrine, which we visited at the same time as a group of Aramaic Christians, originally from Iraq but now living in California. 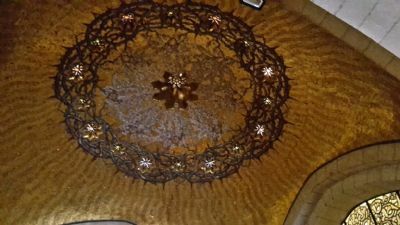 Both of our groups sang praises; they sang in Aramaic and we sang While Shepherds Watched Their Flocks. 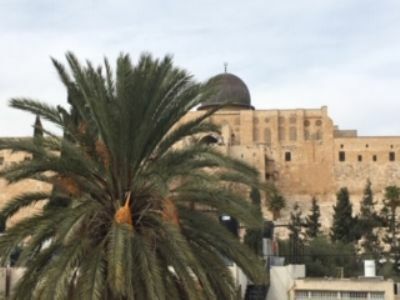 After a spot of souvenir shopping and a lunch of delicious falafels we moved on to the Bethlehem Bible College to hear about the plight of Palestinian Christians. 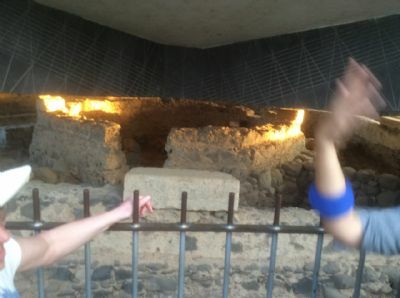 Our day ended with a visit to Christ's birthplace, a cavern now underneath a Greek Orthodox Church. 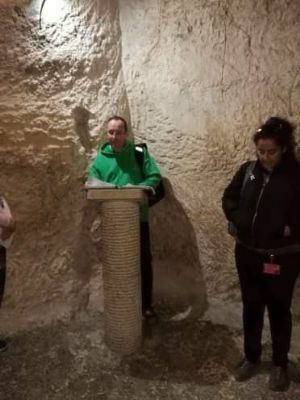 Unfortunately this involved a very long queue, but we finally made it to the cave where Jesus was born. Tiny door through which pilgrims need to stoop and humble themselves to enter the Church of the Nativity. 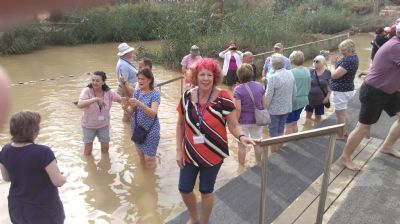 We started our day at Jesus’s baptismal site in the River Jordan. Quite something and we were joined by pilgrims from all over the world. 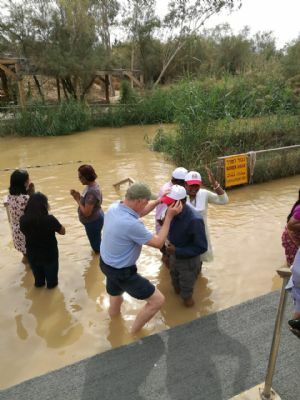 Most of us dangled our feet in the Holy waters whilst other brave, younger ones (from other countries) went for the full immersion! Not sure if this was wise given the muddy state of the water! 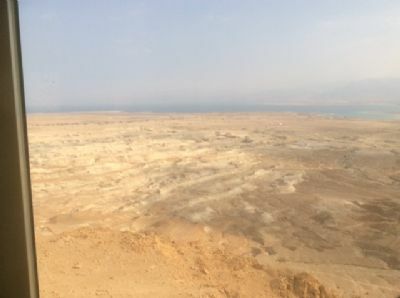 Following that we went to ‘Temptation’ mountain in the desert where Jesus was ‘tempted’. We were assailed by vendors and shopkeepers- and a camel- adding novelty to the day, following which we went to the barren rocky summit of Wadi Quelt ( St George) where we saw the bleak and rocky road taken by Jesus from Jerusalem to Jericho, a journey which was dangerous as it was long and challenging. 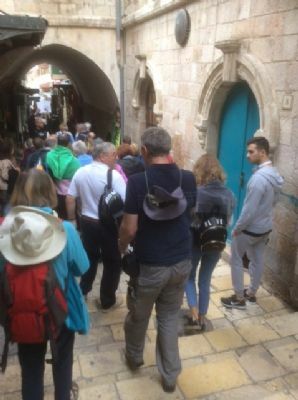 Finally we went to the City of David in Jerusalem (traffic jams notwithstanding) where we saw the old City of David and some of us even negotiated the the watery Hezekiah’s tunnel ( a novel experience given its depth and narrow gulley underground!). 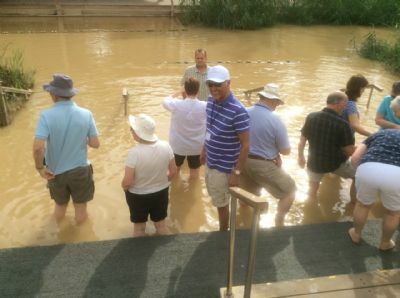 Dipping our feet in the waters of the River Jordan at Jesus’s baptismal site. Awesome! 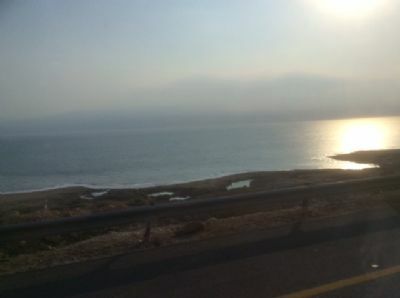 the Sea of Galilee, travelling south to Jerusalem and Bethlehem. 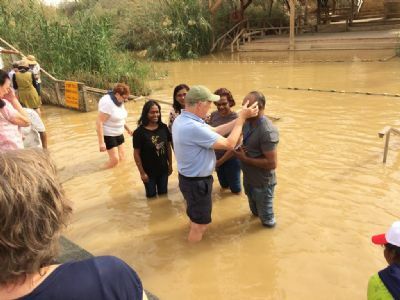 from around the world (some of whose members underwent baptism by full immersion in the cold and brown water). This experience affected some of our group particularly strongly. 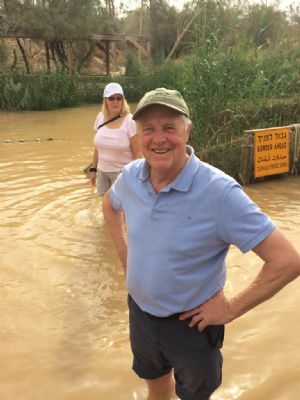 Onwards via Jericho, we came to understand the real meaning of the Wilderness so often referred to in the Bible and which evoked a sense of fear at that time. 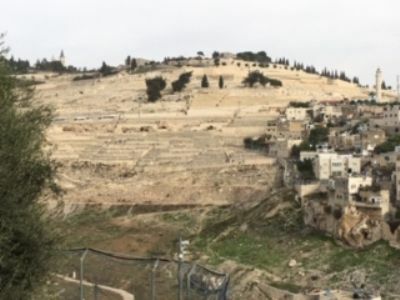 top of a ravine, into whose walls was set the 4th century monastery of St George. In this inhospitable land the Good Samaritan performed his act of mercy. 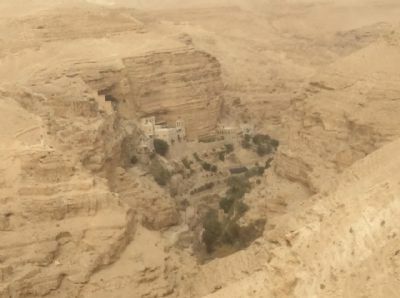 On seeing the barren landscape a number of us immediately thought of Psalm 23, which includes the words "Yea, though I walk through the valley of the shadow of death". 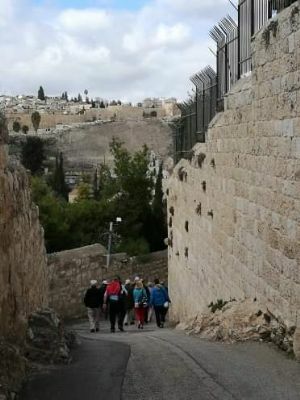 In the afternoon we reached Jerusalem and it's traffic congestion, where we had our first sight of the walls of the Old City and the early history of the City of David was explained to us. 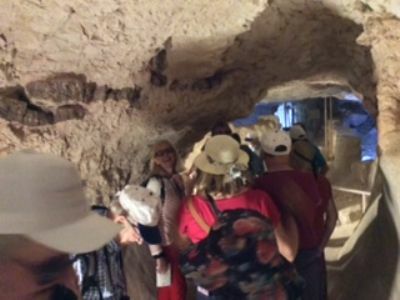 After this, some of us traversed knee-deep water by torchlight in the 488m long Hezekiah's tunnel, the 8th century BC man made underground water course supplying the city (photos of this will follow when I can download them from my 'old technology' camera). 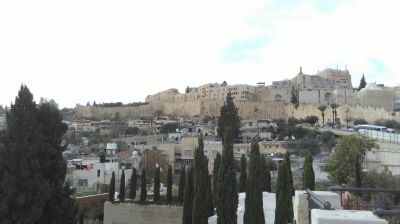 At the end of the day we arrived safely at our new hotel in Palestinian Bethlehem. 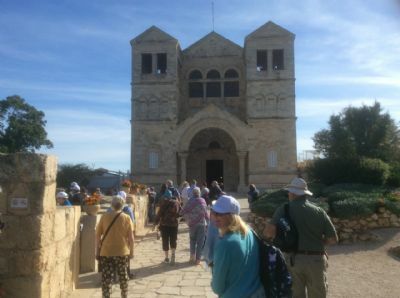 We started today with a visit to coolish Mount Tabor, the reputed site of the Transfiguration followed by visiting the Catholic Church on the site of Mary’s home and the appearance of the Angel Gabriel to her. 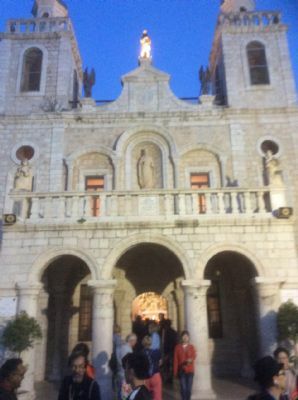 This Church is very much a reflection of the esteem paid by Roman Catholics to the Virgin Mary. Close by was St Joseph’s Church. 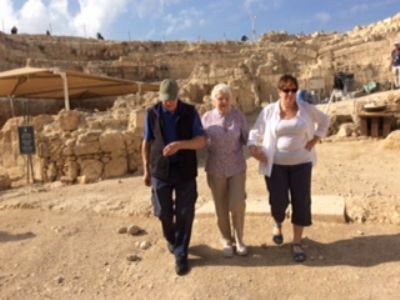 After lunch we enjoyed a very informative and eye opening visit to ‘Nazareth Village’ which was a recreation of the town of Nazareth at the time that Jesus lived there. Rod, the Brazilian guide ( who spoke perfect American English!) was the accomplished guide who made real the harsh conditions of life at the time but also exhibiting the very original and novel methods of oil and wine production all those centuries ago. 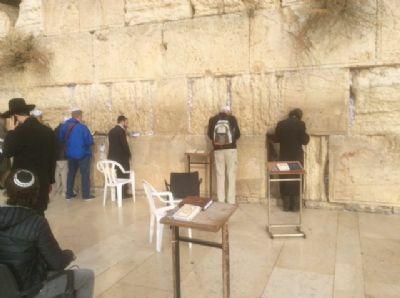 A very humbling experience for all of us who enjoy the trappings of modern life! 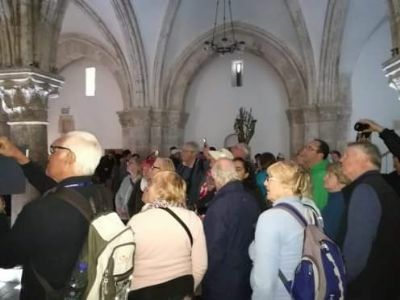 We ended our day in the underground church at Cana (site of the conversion of water into wine at the wedding celebrations) where we also observed a real live wedding and the renewal of marriage vows by a number of couples. 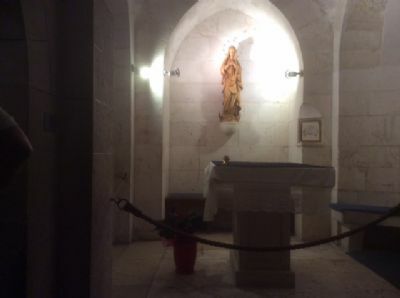 Church at Cana: site of Jesus’s first miracle turning water into wine. Today gave us our first full on experience of the Pilgrimage - and what a day it was. 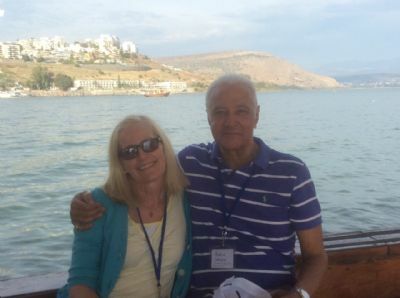 Refreshed from a comfortable night’s sleep we began our day at 8am with a wonderful sail on the Sea of Galilee. 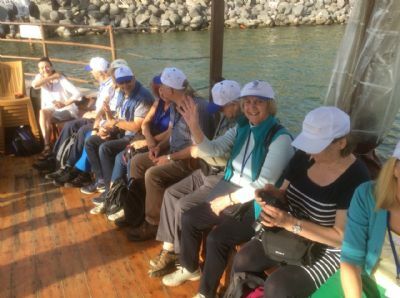 It was a truly spiritual beginning in warm sunny conditions, uplifting to feel that we were tracing Jesus’s path on the lake. 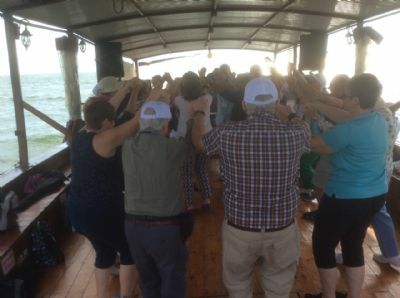 We worshipped on the boat, sang Gods praises and even danced to ‘Hava Nagila’, footage of which is available for a fee! After our sail we visited a museum which displayed a 2000+ year old fishing boat unearthed some years ago and which Jesus would surely have seen having spent so much time in this area. 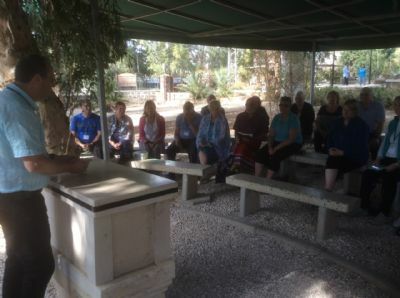 We then went on to celebrate Communion at the Mount of Beatitudes with readings and hymns. It was memorable. 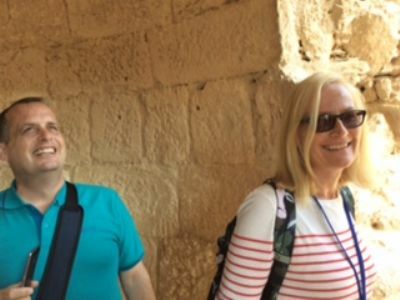 We went on to Magdala to visit the excavated ruins of a 1st century synagogue and market place followed by a traditional Fish lunch. 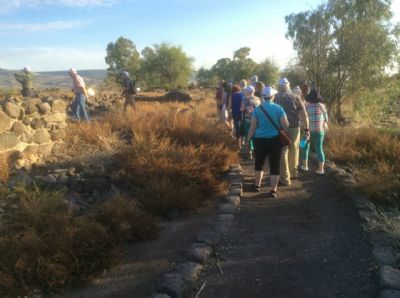 In the afternoon we went first to Tabgha to the Church of the 7 springs (the feeding of the 5000), to the Church of the Primacy of St.Peter, then Bethsaida where we literally walked in Jesus’s footsteps and finally to Capernaum reputed to be Jesus’s home town. The Tour Leaders, Jane and Robin taking in God’s sea air. Dave H attempting to impersonate David Beckham! 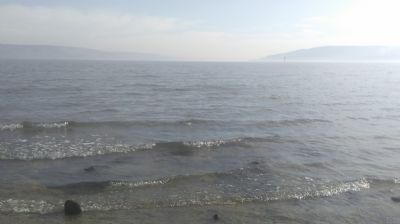 The highlight of today for me was the Sea of Galilee. 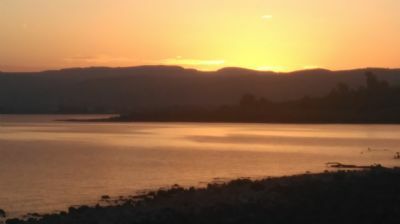 The three pictures above show the shore at Tabgha, sunset over the lake from Capharnaum and the River Jordan wending its way towards the lake. After a very luxurious coach journey to Luton airport form Dorset we were up bright and early for a 7.15 am departure today to Tel Aviv! 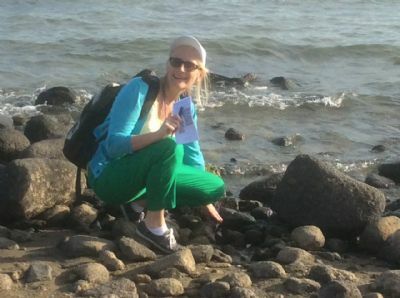 Thankfully we arrived safely and reached our first 3 night stopover in Tiberias, with the Hotel ( Golan Hotel) overlooking the Sea of Galilee, at about 7pm. Refreshed, after dinner we had a short Thanksgiving service and early night, all fairly shattered. 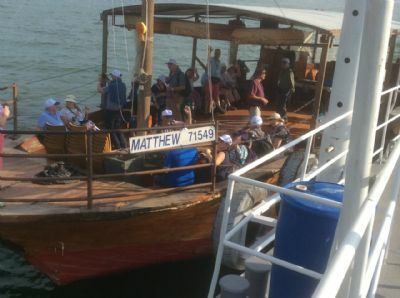 Tomorrow we have a boat trip on the Sea of Galilee followed by a St Peters Fish lunch and a communion service at the MT of Beatitudes. More to follow.